First American Merchant Svc is a Financial Services company located in 116 Normandy Pl, Melbourne Beach, Florida, United States. ShearShare, a global marketplace that allows salon and barbershop owners to rent their excess suites and booths to licensed cosmetologists and barbers on demand, has partnered with Track and First American Payment Systems to provide financial resources to self-employed beauty and grooming professionals who use the ShearShare platform. Stella Point Capital has promoted Robert Jahn to managing director. Jahn joined the New York-based private equity firm in 2012. Why Nudge.ai? Reach out to the decision makers at First American Payment Systems with a personalized email - let them know that you found their recent news mention interesting. Nudge.ai’s relationship intelligence platform can help you find the right executive to reach out to at First American Payment Systems, such as Sarah Guckes, Vice President, Marketing, or Karen Wiseman, Vice President Cash Operations. Then get in touch and start a conversation. Executives can be difficult to reach, but every company has connectors who bring together people and ideas. At First American Payment Systems, people like Alex Benjamin, and Sarah Guckes are likely connectors. Does your current payments provider offer 4G technology? 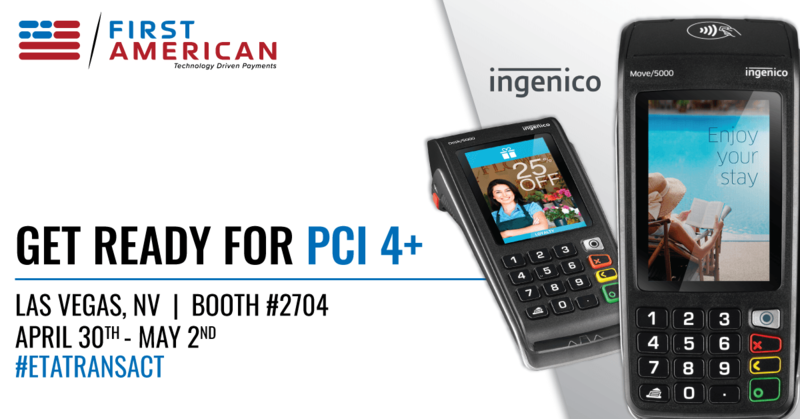 As 3G technology quickly nears its expiration, First American is excited to offer our partners 4G enabled @ingenico next gen devices. Visit booth #2704 at @ETATRANSACT for a hands on demonstration of the devices available. 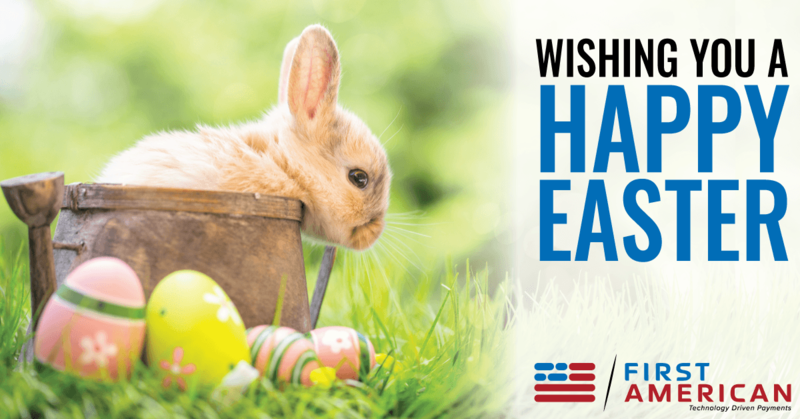 Happy Easter from everyone at First American! 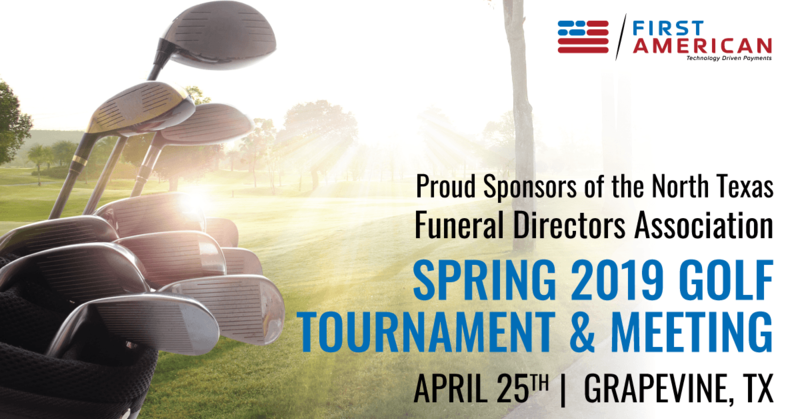 First American is teeing up for the North Texas Funeral Directors Association 2019 Spring Golf Tournament & Meeting next week. We are honored to sponsor this event! Does your current payments provider offer a wide range of hardware devices that supports your software? 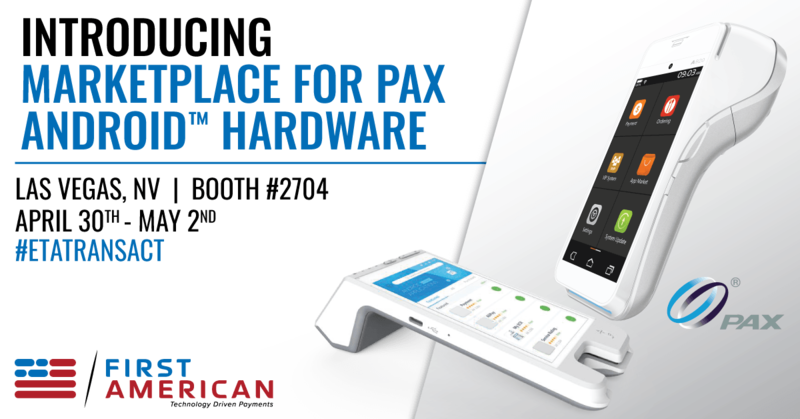 Marketplace offers seamless #ISV integrations amongst a wide range of Android devices offered through @paxtechnology . Visit booth #2704 at @ETATRANSACT for more information! When First American Payment Systems is mentioned in the news, Nudge.ai often sees topics like Food, and Mobile. 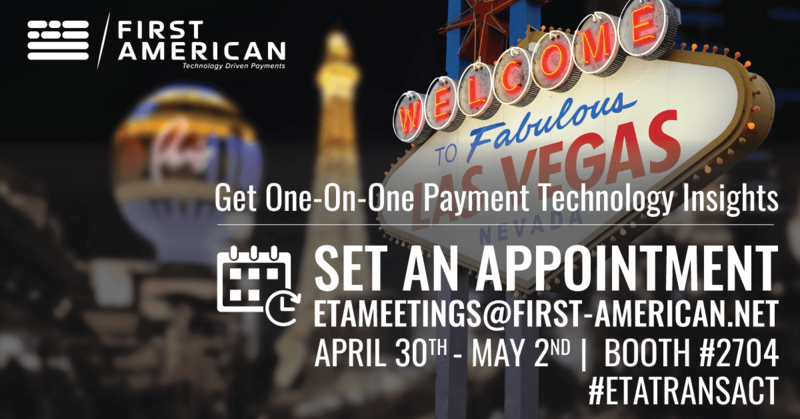 If your conversation focuses on these topics, you’ll probably get First American Payment Systems’s attention. When First American Payment Systems is mentioned in the news, companies such as First Advantage, and Doordash are often also mentioned. These companies can serve as customer examples. Who in your network can introduce you to First American Payment Systems? Nudge.ai finds the best pathway to reach contacts at this company.